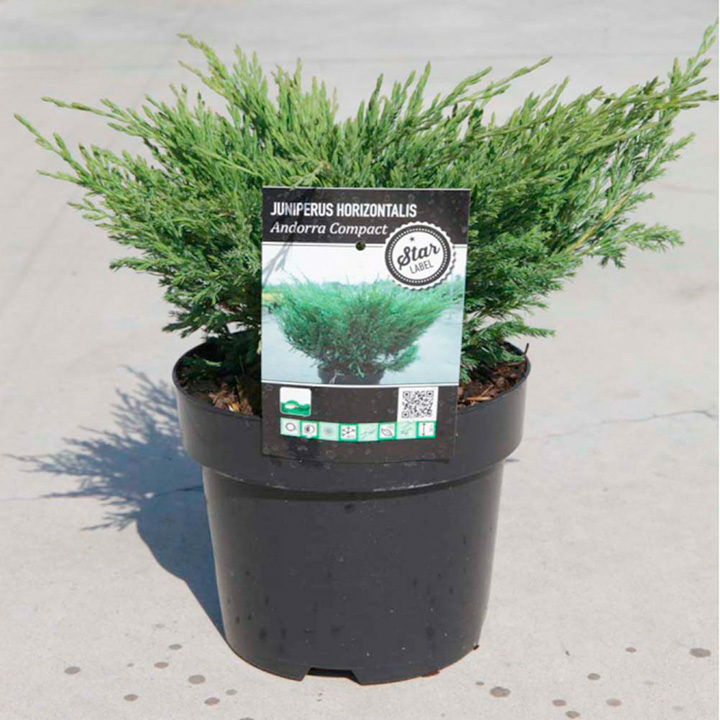 Juniperus horizontalis 'Andorra Compact' is a prostrate, evergreen, slow-growing shrub great for ground cover. Its foliage is prickly and brown-green in colour. Height 50-60cm. Supplied in a 3 litre pot.